Last night Rihanna dined at a Chinese restaurant in London. She basically lives in the city now. Her all black outfit would fill any streetwear lover with envy. There’s some Raf, some Balenciaga. And she pulled it all together in her unique way. 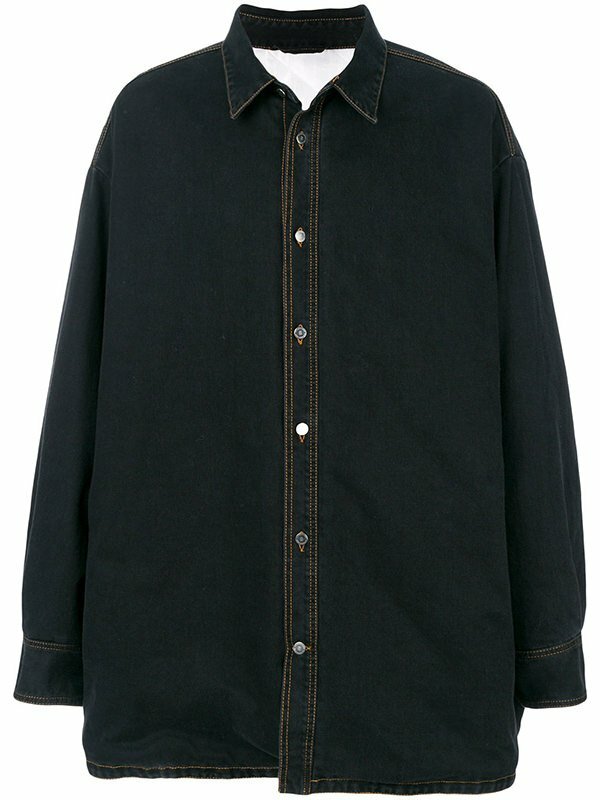 Rih rocked a denim shirt jacket ($920) by Raf Simons. The black jacket features an oversize fit, a white quilted lining and gold stitching. Under that she sported a black sweatshirt and a skirt. 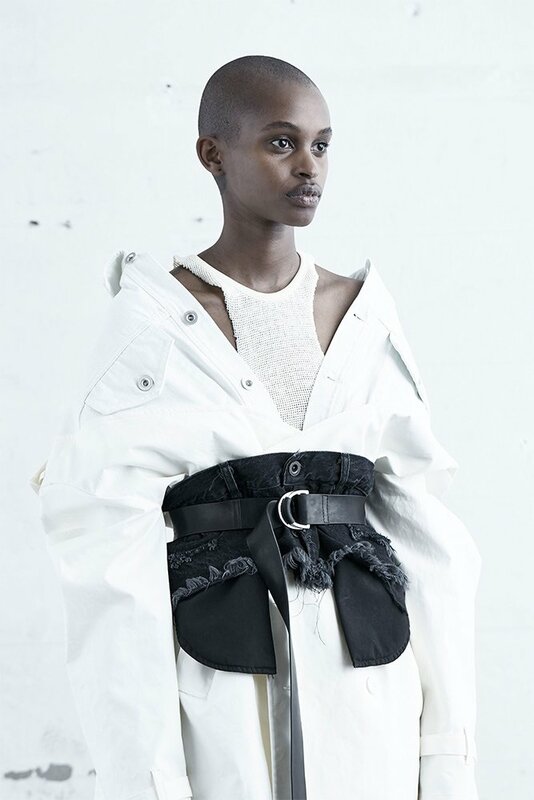 Over the skirt is a distressed denim peplum from Unravel‘s Resort 2018 collection [Look 34]. The Barbadian superstar complemented the look with a pair of Balenciaga‘s Knife ankle boots. She first wore these to a basketball game in June. 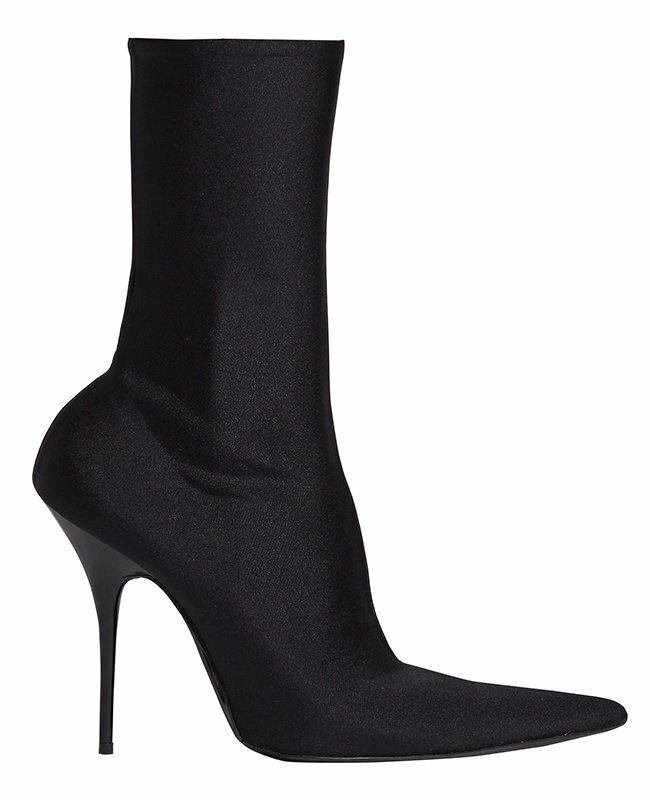 The stretchy boots look as though you pulled tights over a pair of pumps. Grab a pair in a matte finish from Matches Fashion for $995. 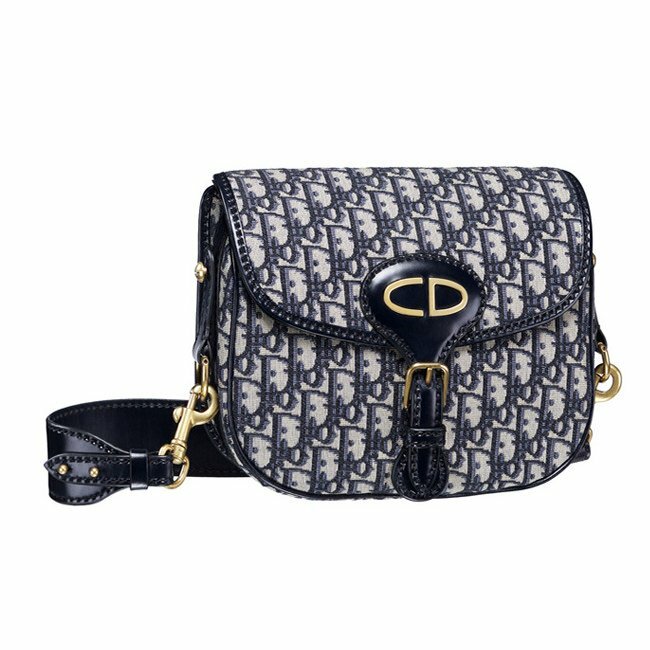 Finally, she carried Dior‘s oblique saddle bag from the pre-fall 2017 collection. 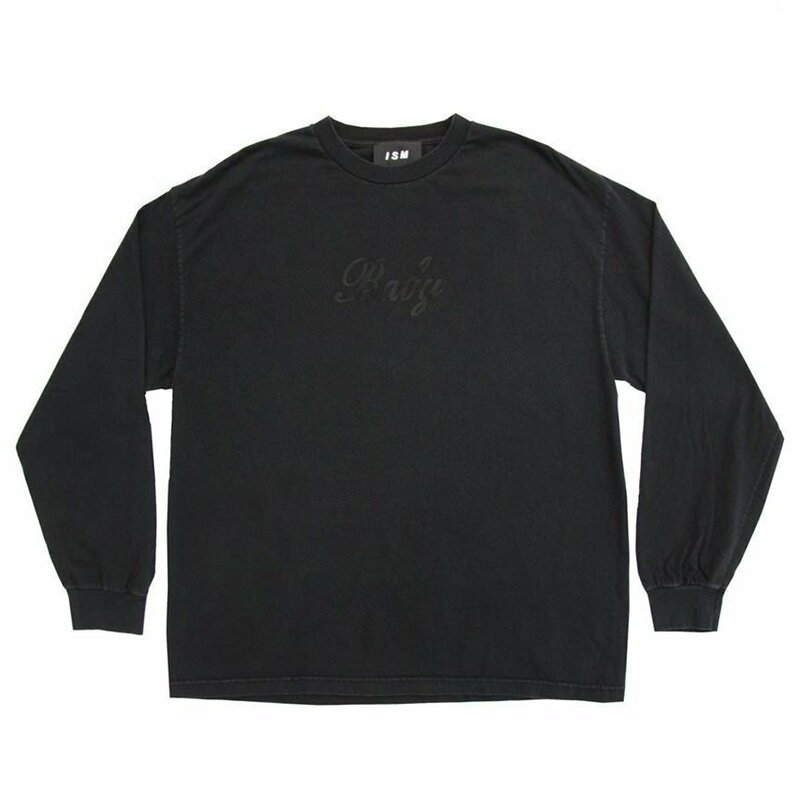 Update: Rihanna wore a long-sleeve t-shirt by ISM. Get it here for $96. 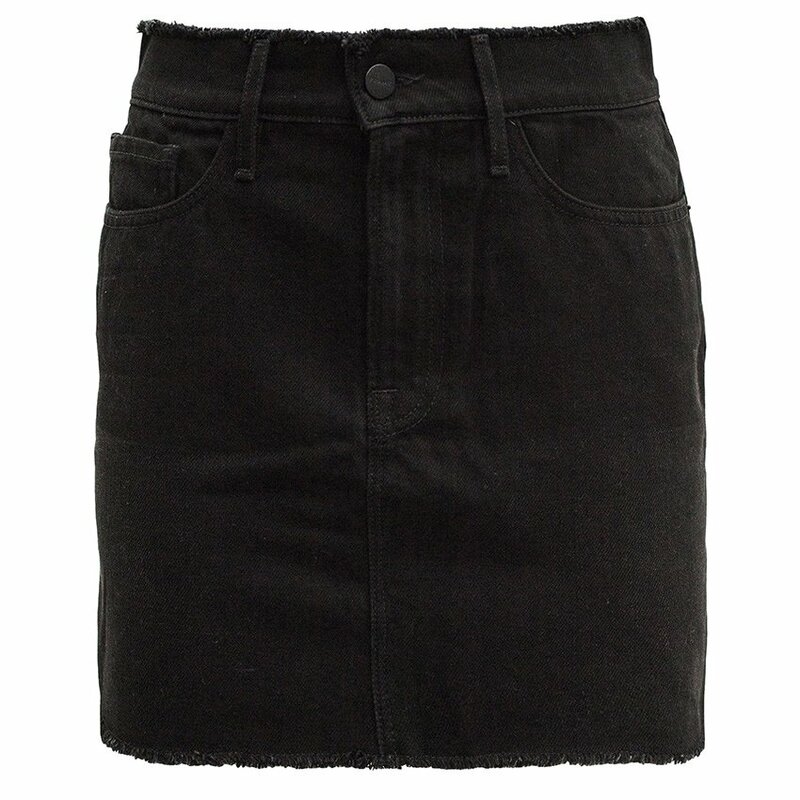 Update: Rihanna’s black skirt is Frame‘s Le Mini Skirt in Black Forest. It features fraying along the waistband and hem.